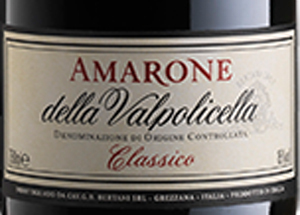 Amarone della Valpolicella Classico DOC is a timeless wine, expression of a unique style that Bertani always followed with dedication. It comes from Corvina and Rondinella grapes on the hills of Tenuta Novare, in the heart of the Valpolicella Classica, in vineyards dedicated only to drying grapes. 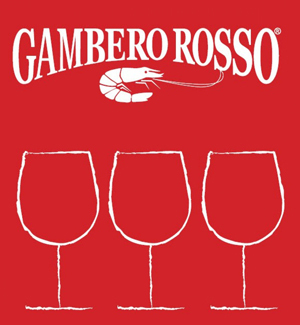 Produced since 1958, it is one of the longest-serving red wines in the world. 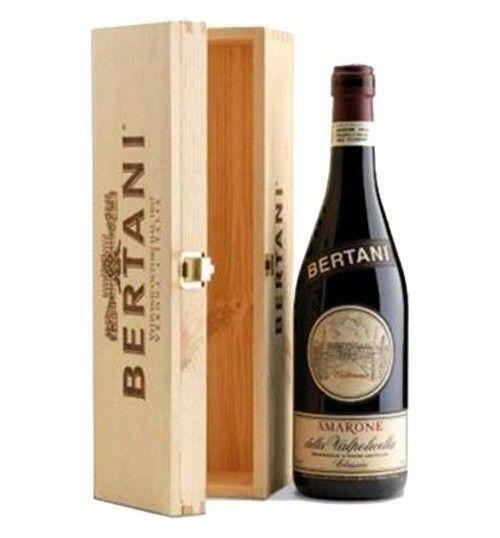 THE WINE Amarone Classico Bertani is a timeless wine that expresses the unique style that Bertani has always dedicatedly pursued. It is a classic style that does not need to change because it is always up-to-date. Amarone is made from Corvina and Rondinella grapes grown in the Tenuta Novare hills, in the heart of the Valpolicella Classica area, in vineyards devoted entirely to producing drying grapes. Bertani has been making Amarone Classico Bertani since 1958, it is the perfect harmony between time, nature and man: we devote all of our know-how and our passion to it, with a long waiting period and great care. The grapes are set aside to dry on the "aréle" (racks made from bamboo canes), according to the traditional production method. Fermentation in concrete and ageing in large barrels for at least six years give it a stable structure, making it one of the longest-lived red wines in the world. For us here at Bertani, “natural” has a very precise connotation. It means producing without forcing things, using man’s intervention and knowledge to accompany the course of nature in the simplest way possible, from the vineyard to the drying of the grapes. In fact, making wine means living in constant harmony with nature, its cycles and its incredible unpredictability. It means finding the right balance between what nature gives us and what we (with our limitations and knowledge) can give back in order to add a precise and authentic identity to what we produce. 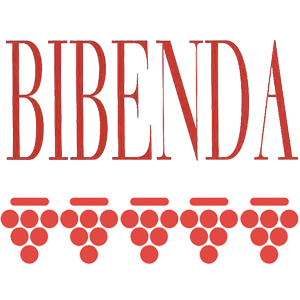 THE COMPANY The Bertani winery was founded in 1857 by the brothers Giovan Battista and Gaetano Bertani, in Quinto di Valpantena, north of Verona. 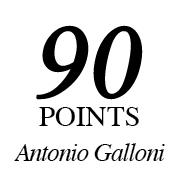 Gaetano was an expert in the art of winemaking, having learnt new techniques in France from Professor Guyot, still considered a leading expert in viticulture today. The start of Bertani’s activity coincided with the spirit of innovation that drove them to use the latest production techniques, both in the vineyard and in the cellar, and applying them to all the estates in Valpantena and Soave, while respecting the territory and the farming traditions in the area. High level professionalism, quality, business acumen and spirit of innovation were the traits that made the two brothers stand out right from the start in the winemaking sector in Verona. Bertani was one of the first companies in Italy to understand the value of bottled wine; huge investments were made right from the start in the vineyards and in the cellar, to bottle and export Italian quality all over the world with Bertani wines, which crossed the Atlantic and were already popular in many US cities by the end of the nineteenth century. Bertani was founded at the time of the Italian Unification, with the desire to proudly represent the excellence of a new nation with a thousand-year-old culture. This commitment and the quality of Bertani wines helped it to achieve excellence in 1923: the royal warrant. Although it is an outdated symbol now that Italy is a republic, for us it still represents the achievement of the highest quality. The constant commitment made in viticulture and winemaking induced the Accademia di Agricoltura, Arti e Commercio di Verona (Academy of Agriculture and Commerce of Verona) to nominate Bertani as a model farm in 1870, thanks to its professionalism, the introduction of monoculture and new training systems to the vineyards that characterised the family’s spirit of enterprise right from the start. And that wasn’t all: the quality of Bertani wine asserted itself straightaway for its elegance, so much so as that the Soave was on the menu at King George VI’s coronation in England, in 1937. In the middle of the twentieth century, when they bought the Tenuta Novare, in Valpolicella Classica, Bertani put into effect the half-century long study to produce “the Wine”, made to last forever. This was the start of Amarone, the iconic wine from this area, with the first vintage dating back to 1958. With over 200 hectares of vineyards in the most suitable areas of the Verona province, today Bertani is a solid winery with a constantly increasing distribution in Europe and the rest of the world. There are two historic wineries, one in Grezzana, the current base and pulsing heart of the company, where vinification, bottling and shipment are carried out, and Tenuta Novare in Arbizzano di Negrar, in the heart of the Valpolicella Classica area, the cradle of great reds like Amarone and Valpolicella Classico Superiore. As an icon of Italian wine in the world, Bertani combines typicity of native grape varieties with continuous improvement in the vineyards and attention to the terroir. Respect for tradition is balanced by innovation and great business acumen in order to achieve the highest quality: these are the fundamental principles of the winery, today also the reference point for the great national group: Bertani Domains. Tasting Color: intense ruby red. Bouquet: intense and complex, with notes of plum, cherry and morello cherry. 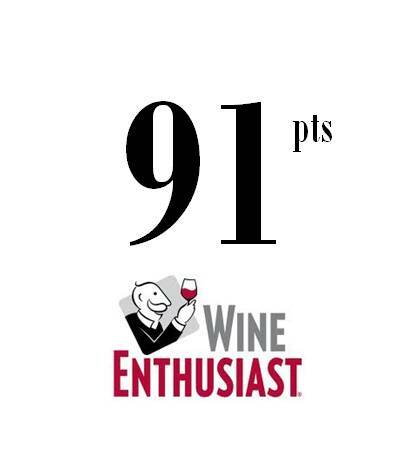 Taste: soft and thick, note of red fruit, of vanilla in perfect balance with acidity and tannic notes. Elegance, cleanliness and persistence. 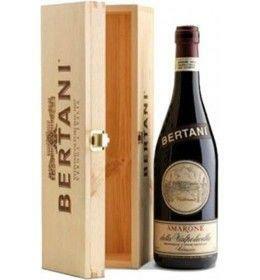 Amarone Classico Bertani is a timeless wine that expresses the unique style that Bertani has always dedicatedly pursued. It is a classic style that does not need to change because it is always up-to-date. Amarone is made from Corvina and Rondinella grapes grown in the Tenuta Novare hills, in the heart of the Valpolicella Classica area, in vineyards devoted entirely to producing drying grapes. Bertani has been making Amarone Classico Bertani since 1958, it is the perfect harmony between time, nature and man: we devote all of our know-how and our passion to it, with a long waiting period and great care. The grapes are set aside to dry on the "aréle" (racks made from bamboo canes), according to the traditional production method. Fermentation in concrete and ageing in large barrels for at least six years give it a stable structure, making it one of the longest-lived red wines in the world. For us here at Bertani, “natural” has a very precise connotation. It means producing without forcing things, using man’s intervention and knowledge to accompany the course of nature in the simplest way possible, from the vineyard to the drying of the grapes. In fact, making wine means living in constant harmony with nature, its cycles and its incredible unpredictability. It means finding the right balance between what nature gives us and what we (with our limitations and knowledge) can give back in order to add a precise and authentic identity to what we produce.